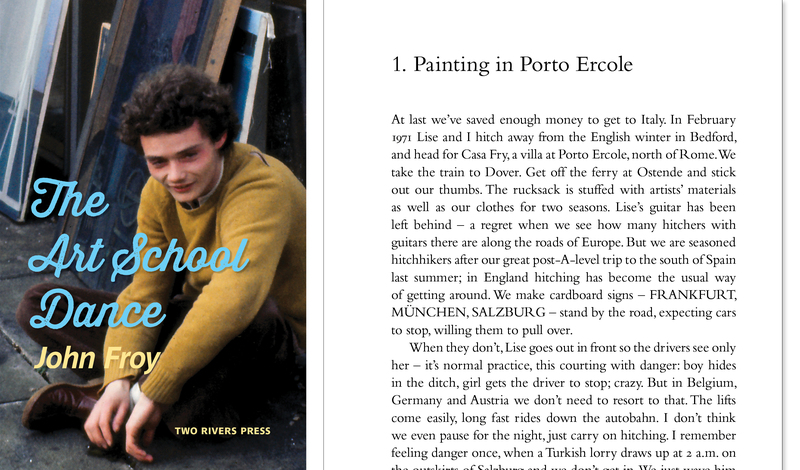 This second volume of John Froy’s memoir takes us from Italy to Art School in the 1970s, with many twists and turns in between. It is both a personal memoir, as the author battles with the confusions of those painful years between 18 and 22, and a chronicle of the times, with their new freedom to hitch-hike round Europe, throw oneself into sexual relationships and sample drugs. In the arts, too, change and experiment are everywhere: the figurative/abstract divide in painting and sculpture, the new photography, film and Happenings. In the midst of this turmoil the author struggles to find himself through his art, seeking consolation in his deep love of nature and landscape.